Continuing something of a disturbing trend over the past few months, data from FX brokerage group Gain Capital Holdings Inc (NYSE:GCAP) indicate that September was the company’s slowest as far as trading volumes go looking back a number of years. GAIN Capital, which operates the Forex.com and City Index online retail trading brands, reported volumes of $149.6 billion for September 2018 – the first time that volumes have dipped below $150 billion at Forex.com for more than five years. 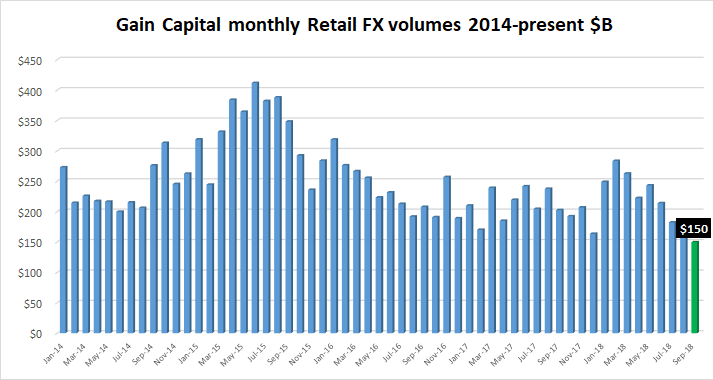 After posting retail trading volumes of well above $200 billion in each of the first six months of 2018, volumes have dropped steadily at Forex.com to where they were in September. The company averaged $7.5 billion in daily trading volume during September, down slightly from $7.6 billion in August. Generally lackluster trading conditions throughout the third quarter negatively impacted trading volumes in our retail and futures businesses across GAIN’s global footprint. However, while volumes were down, revenue per million increased to about $162 for the quarter. The increase in RPM was driven primarily by pockets of volatility in emerging market currencies, including the Turkish Lira, as trading in these products typically generates higher revenue capture for us. Events in Turkey, as well as Argentina, during the quarter also had a ripple effect of a few brief periods of increased trading activity in EUR, GBP and Metals. 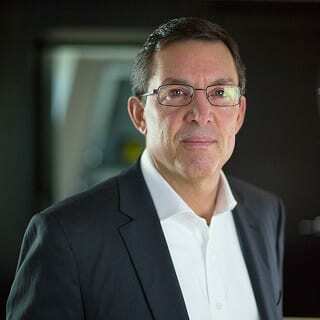 The foregoing did not impact our Futures business, which saw revenue per contract of approximately $5.15 during the third quarter.